Adam Lambert IG & Twitter: "Here we go! 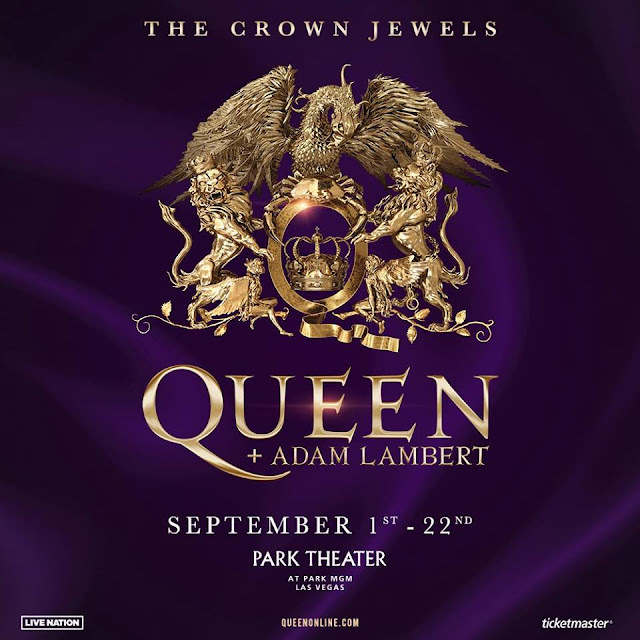 Tickets are officially on sale now.. @officialqueenmusic in Las Vegas this September :) "
Adam Lambert on Instagram & Twitter: *PHOTOS (IG) "Here we go! Tickets are officially on sale now.. @officialqueenmusic in Las Vegas this September :) "
@adamlambert "Here we go! Tickets are officially on sale now to see @officialqueenmusic in Las Vegas this September :) Click the link in my [Instagram] bio to get your seats!!" Here we go! Tickets are officially on sale now to see @officialqueenmusic in Las Vegas this September :) Click the link in my bio to get your seats!! Hey everyone....I'm going!!!! Got my tickets for the 15th! Whoooeee! My sister and I were planning a sightseeing trip into that area anyway....Zion, Bryce Canyon, Lake Powell....all that beauty! Anyway, when Adam announced QAL's Vegas residency, we wrapped our trip around that, since we are flying into and back out of Vegas anyway. SO excited! All that beauty, plus Queen and Adam Lambert, too!!!!!!! Oh my! You should have a FABULOUS sightseeing trip, Nanbert. I've been to Zion, Bryce Canyon (absolutely superb), Lake Powell & numerous other National & State Parks in the US, all incredible such that to me, the US has the most dramatic & picturesque National & State Parks in the world & I've travelled in different parts of the globe at different stages during my life .... plus to top it all off, you're attending QAL in Las Vegas!!!!! Nanbert really wondered who goes to Q + AL Las Vegas from those who post on this blog. I'm happy for you. Nanbert! I am SO thrilled that you're going to Vegas! I'm so jealous. I really want to go but there are too many things in the way for us this time. I'm sure there will be lots of great vids from lots of fans. Be sure to tell us everything about your experience! I will tell ALL!.... if I survive the trip...it's pretty ambitious for 85 y/o. I have to start working out and getting into shape (whatever that is at my age). Unfortunately, if I do that, I will probably never make it to Vegas, or anyplace else, since the "men in white jackets" will certainly cart me off after my neighbors call them and describe an "old lady pulling a big suitcase up and down the street", haha! And last....I'm really superstitious about the Vegas concert, since I had travelled all the way down to Tampa to attend Adam's TOH concert with my son and his family....and it was cancelled at the last minute...the only one in the entire tour! What a crushing disappointment that was! Soooo, everyone....keep your fingers crossed that everything works out for me! I've always wanted to visit Zion, Bryce Canyon, Lake Powell...and possibly Monument Valley.... and seeing a Queen and Adam Lambert concert too will really be the CHERRY ON TOP! Whee! haha, Dee R Gee.....excellent advice! I will definitely keep that in mind. Oh Nanbert!! I'm sooo thrilled for you!! Wish I could go too but that's never going to happen so you go & when you come back you can post every "delicious" detail of your trip!! Throw an extra kiss to the boys for me .. I'll be thinking about you at the concert on the 15th!! Thanks, everyone, for being happy for/with me. My sister is bucking for Sainthood, as she is not a Glambert... although she likes Adam and QAL...but Vegas will be the THIRD Queen and Adam Lambert concert she's gone to with me. She DOES indulge/spoil me shamelessly! She's 12 years younger than me, and is helping me check off my "bucket list"...and oh my, we do have such fun together! Too bad we live 400+ miles apart the rest of the time. Yes Nanbert....Go and enjoy every minute of each day of your adventure with your sister! I wish I had a sister (sometimes lol), but how wonderful you have a great relationship with your sister! 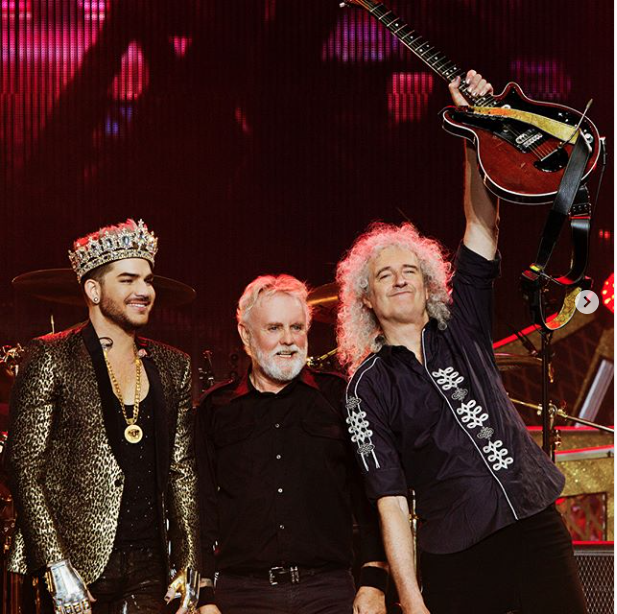 Who knows if anyone else that comes to read our comments here on 24/7 is also going to see QAL. So for now you'll have to be OUR EYES and EARS! Hahaha No pressure, right? I typed sister too many times, sorry. haha Sunflower....you can never have too many sisters! Yay Nanbert! I'm so happy for you! Alas, I won't be going to see QAL in Vegas. Too expensive for the trip. Hopefully there will be a chance to see Adam solo soon. I've been blessed to be able to see QAL twice so at least I had that.